This book addresses fundamental questions in relation to education and its epistemology. 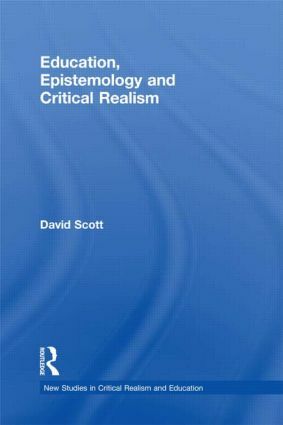 The position taken by the author is critical realist; and thus throughout the relationship between education and critical realism is foregrounded. Themes and issues that surface at different times in the book are: a critical realist view of education research; a resolution of the quantitative/qualitative divide; criteria for judging the worth of educational texts and practices; differences between scientific and critical realisms; empirical research methods in education; structure-agency relationships; pragmatist views of educational research; foundations and paradigmatic differences; and educational critique and transformation.